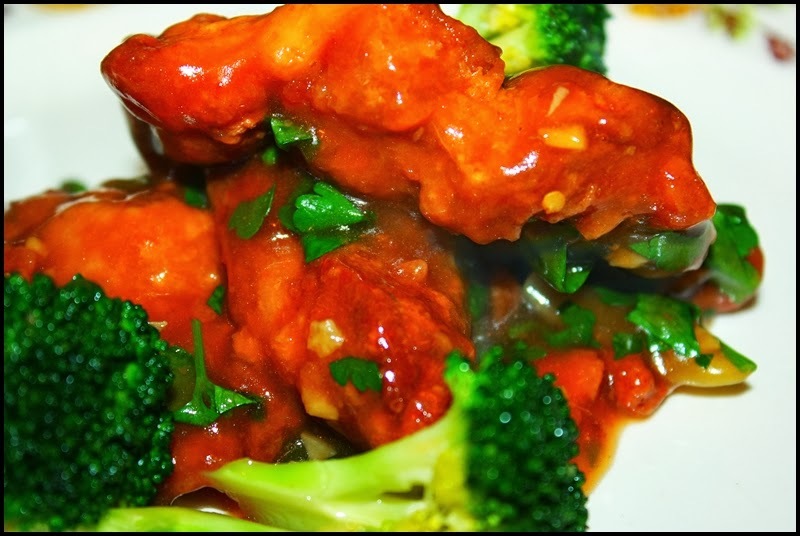 I've posted this recipe prior but not in some time....General Tso's Chicken. Yup, that sweet and spicy deep fried chicken that is popular in so many American Chinese takeout restaurants. It's easy to make at home for a fraction of the cost at a restaurant, and when you make it yourself you can control the sodium/sugar/grease levels. If you are interested in the story behind this dish see this article I wrote for Artvoice some years ago. Combine all of the chicken ingredients together in a bowl, mix to evenly coat, and set aside. Mix all of the sauce ingredients together in a separate bowl and set aside. Heat a couple inches of peanut oil in a wok or skillet until 350F. 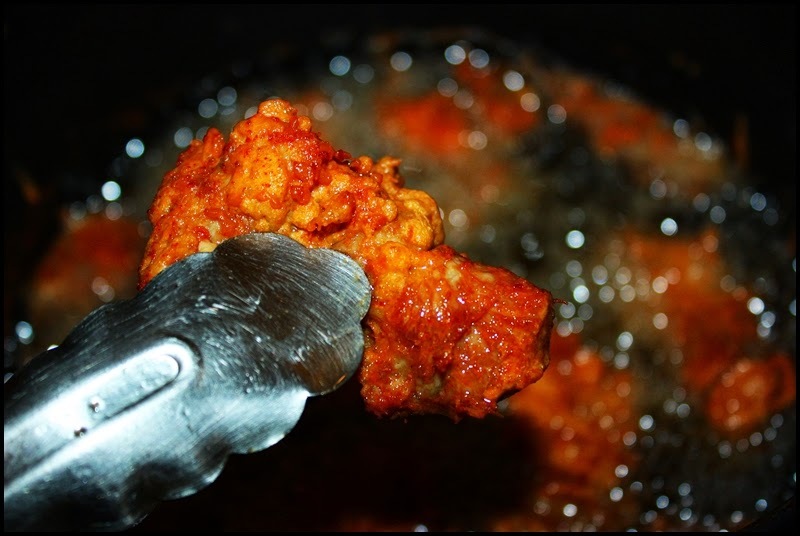 Stir the chicken again, then carefully deep fry it piece-by-piece and remove to a plate lined with paper towel. Cut a piece of the chicken to make sure it’s thoroughly cooked. Carefully transfer the oil to a tin can or other pot to cool, reserving a few tablespoons in the wok or skillet. Over medium-high heat stir-fry the chilies for a minute, then add the ginger and garlic. Stir the sauce ingredients again, then carefully add it to the hot pan. Bring to a boil and simmer for 1 minute. Add the cooked chicken and green onion. Toss to coat. Serve with steamed rice.